A clinical study of the Paracelsus Private Medical University of Salzburg (PMU), an authority on "asthma and allergies" confirms: The abidance at the Krimml Waterfall causes a sustainable functional, symptomatic and immunological improvement. Finest electrically charged water particles are responsible for this change. They are generated from mists of spray from the Krimmler Waterfalls. 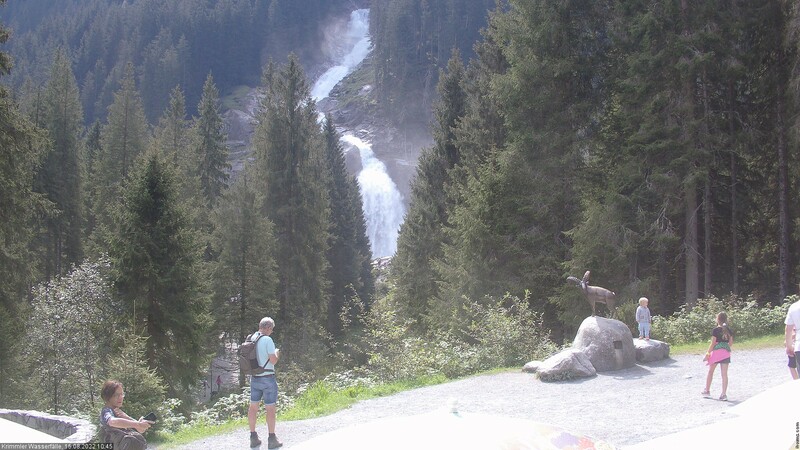 More about the constitutional effect of Krimmler waterfalls and holiday in Krimml. It is time to vitalize yourself - why not mix health with wonderful holiday in Krimml? Our guesthouse Lachmayer is situated in the middle of the village Krimml with panoramic view to the Krimmler Waterfalls - just a walk (ca. 30 minutes to go, 5 minutes to drive) from the Waterfalls away. Optional we support your holiday stay in our house with hypoallergenic bedlinen.